One Electrical were awarded the contract with GT Civil to complete the Electrical and Control systems associated with the new Hamilton South Reservoir Dedicated Supply Pipeline. The contract scope included upgrading H1 Pump from 200 kW to 400 kW. It was identified that the existing Switchboard had insufficient electrical and physical capacity to accommodate the increase in load. Because of this, an additional contract was priced and awarded to us for the supply and installation of a new 3000 Amp Switchboard with integral Bus-Coupling, Automatic Source Changeover and scope for future capital works projects. To supply the new Switchboard, utility sub-contractors were engaged to supply and install a new Ring Main Unit and two each 1 MVA Power Transformers at the Water Treatment Plant, Hamilton. Our team installed multiple sets of new mains cables from the transformers to the new Switchboard, which included routing through underground ducts, accessible concrete trenches, and within the building infrastructure. 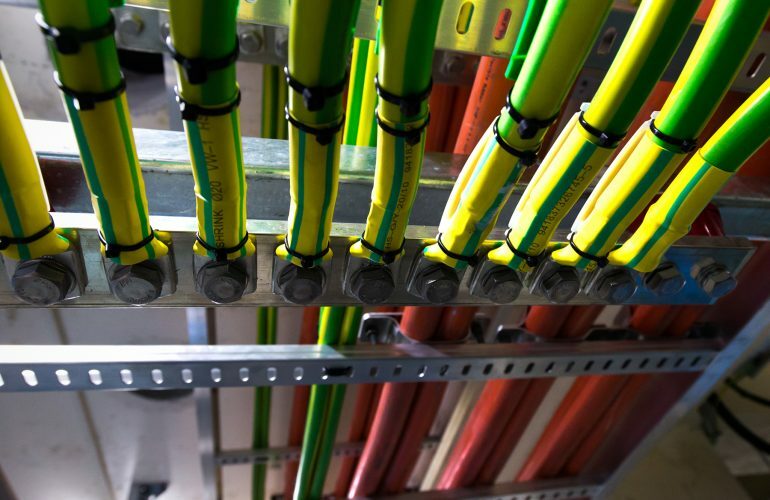 Challenges that we faced included maintaining the cables in the correct configuration and spacing throughout the route to ensure the engineered cable ratings were not compromised, which is critical in high load installations. Additionally, the Bus-Coupling and Automatic Source Changeover arrangement involved the use of high-end specialist components. We integrated the new earthing system with the existing and allowed cable systems to be in place for the planned Genset which will operate automatically in event of a grid power failure. The Switchboard was shipped to site in two parts, and coupled once in place. We worked with consulting engineers to assure our customer that the existing building structural integrity was not compromised with where we placed the Switchboard and where we cut penetrations through the sub-floor. The engineers also provided guidance on seismic restraints required to meet the building codes.